With over 25 years in business, Acroturn has transformed the most demanding customers with stringent quality and safety requirements into long-standing and loyal clients. We’ve partnered with them to develop robust products and processes through a rigorous, lean and cellular manufacturing process. That process has aligned Acroturn with aerospace-grade standards AS9100C and ISO 9001:2008. We work closely with customers to bring their intricate designs to reality. Tough materials including TZM, ToughMet®, Titanium, Aermet® or Inconel® demand exact machining processes. Acroturn has synthesized its technology and machining expertise to implement lean manufacturing practices that emphasize efficient production with minimal waste. This translates into manufacturing that is optimized for quality, delivery time and waste reduction—creating savings for our clients and their business. Our specialized sequencing and processes use Statistical Process Control (SPC) and Statistical Quality Control (SQP), enabling our operators to work in an agile mode that maximizes speed and efficiency while eliminating waste and human error. Acroturn delivers premium quality products at competitive rates. 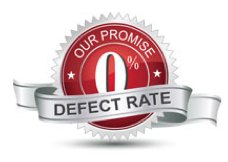 Our aerospace grade manufacturing, combined with our machining expertise and specialized manufacturing processes allow us to promise to our customers a zero defects promise. To solidify our commitment to service excellence, we provide after-sales support, ensuring your complete satisfaction.